The ASUS BC-12D2HT is ideal for those looking to read Blu-ray disks and have the capability of reading or writing DVDs or CDs. 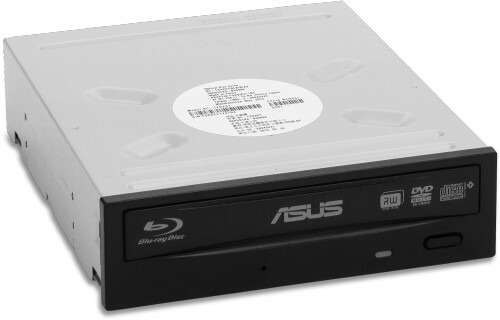 ASUS BC-12D2HT is a powerful and energy-saving Blu-ray disc drive capable of reading from 12X BD format and writing to 16X DVD±R format. With M-Disc Support, users can store their precious memories for millennium. For data protection, BC-12D2HT integrates password controls and encryption plus encoded file name functionality, ensuring information and documents are extra-safe. Save your priceless memories or data for up to 1,000 years. Move to the future of optical storage with massive BDXL at up to 128GB! Green idle mode reduces drive operations for up to 50% energy savings. Highest security standards with password control and encoded file name functionality. Drag and drop files to complete super-reliable disc burning in three intuitive steps. Intelligent drive operation management pre-tests media and assures the best data burning quality.